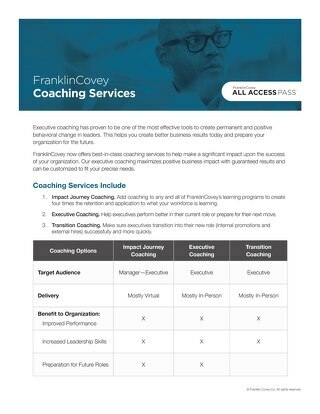 Executive coaching has proven to be one of the most effective tools to create permanent and positive behavioral change in leaders. This helps you create better business results today and prepare your organization for the future. 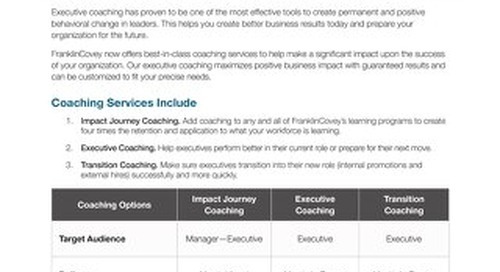 This infographic explains the impact executive coaching can have on a company. 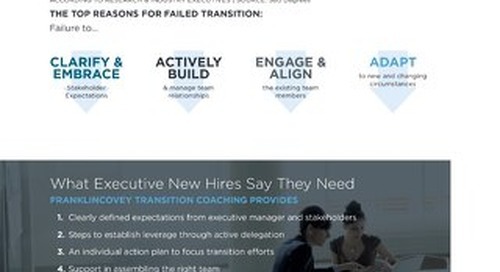 This infographic details the key to success for executives in new roles. This infographic outlines the stages of successful coaching.